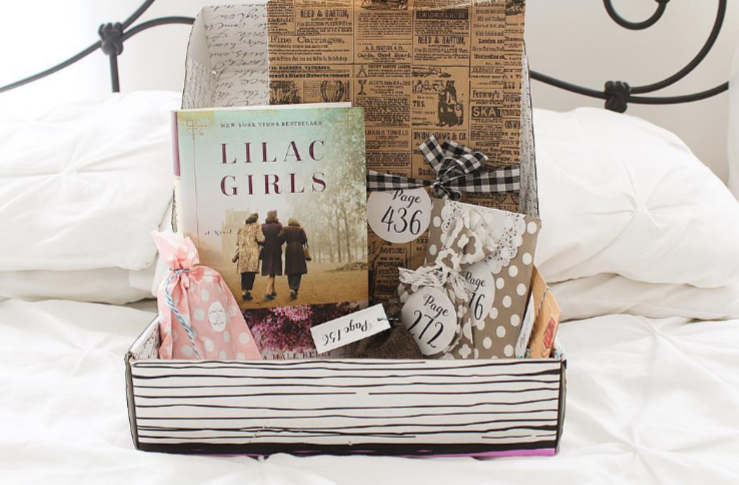 I Can Die Happy, Now that “Once Upon a Book Club” Has Done a Lilac Girls Box. Once Upon a Book Club’s subscription book-boxes fall firmly in the “I wish I’d thought of that” category. 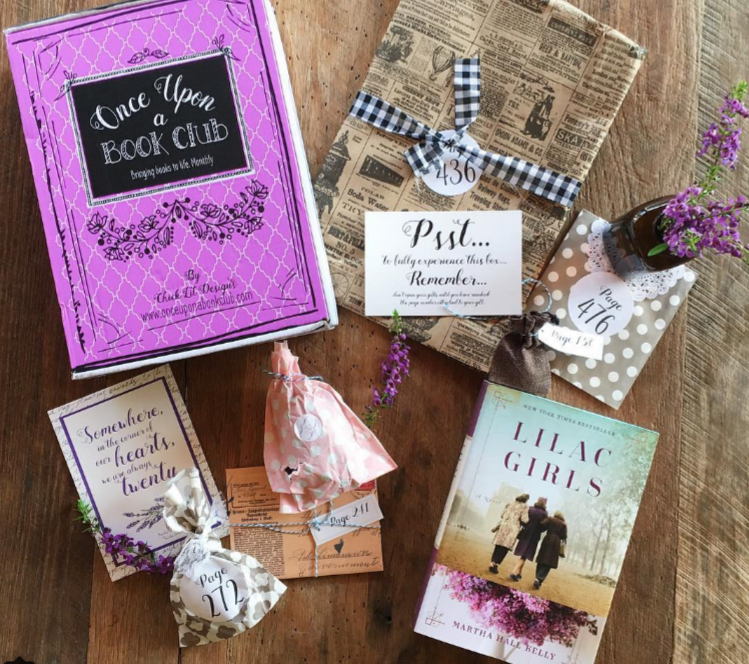 What a smart, fun idea to send boxes full of meaningful things that correspond to the books bookclubs are reading each month? My daughter Katherine sent me a link to it after she saw my novel featured, saying how cute she thought it was. Quick rundown: @onceuponabookclubboxis a brand-new monthly subscription box that offers a novel (?) immersive reading experience. It includes a new book and 4-6 wrapped goodies; each gift reflects an event or plot point that happens in the book which you open at a specific point in the story. There are also discussion questions which will be posted on their Instagram account so that readers can share their thoughts. 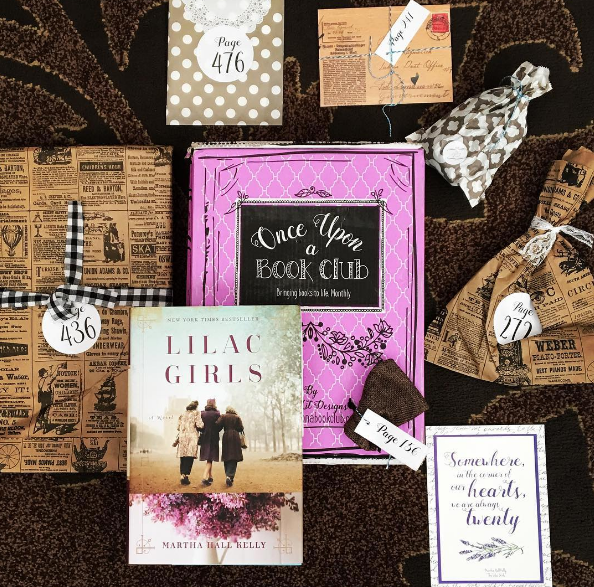 I only wish I’d joined Once Upon a Book Club sooner, so I could see what’s in all those adorable little packages. 🙂 I have a feeling I know what’s in the one for Page 272! 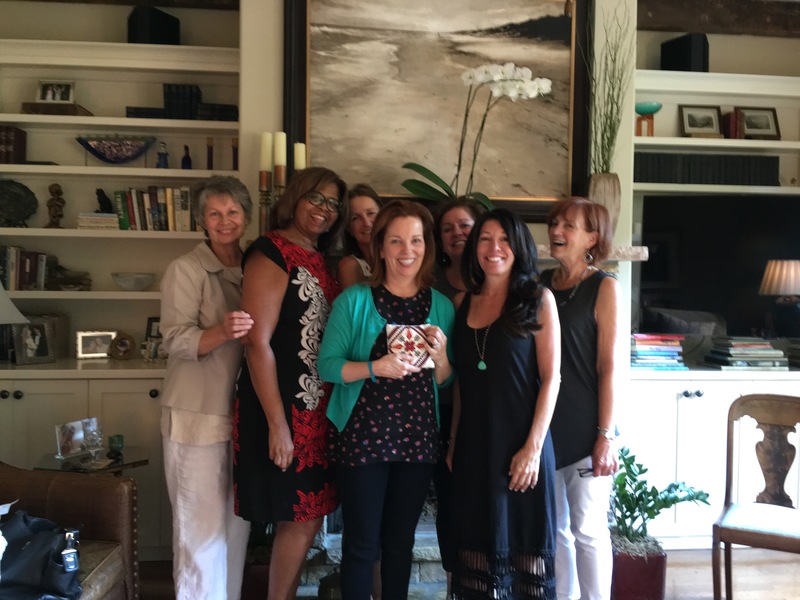 Sometimes writing a novel has unexpected advantages, like dinner with my sister-in-law Mickey Murray’s book group, hosted by member Karen Freedman. 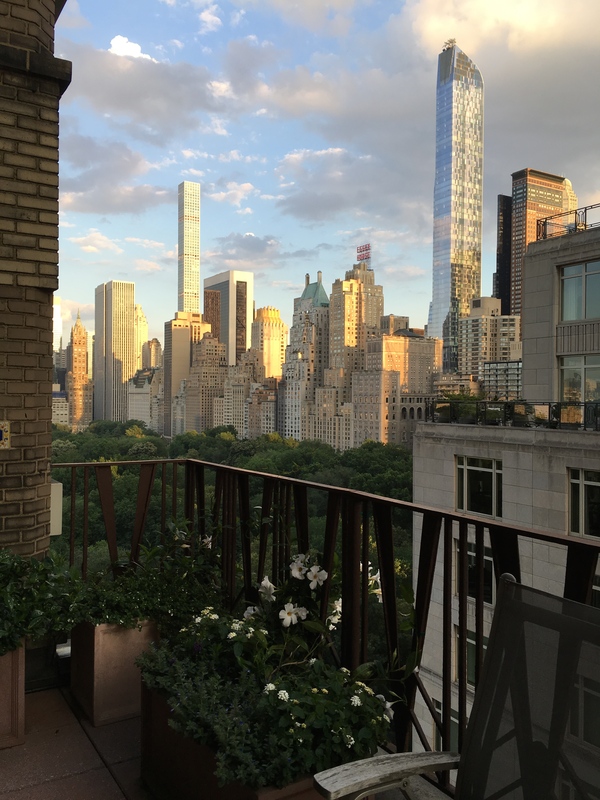 Dinner on the terrace was transcendent, the eggplant parmesan and incredible view of Central Park rivaled only by the deep discussion brought about by the group’s insightful questions about Lilac Girls. 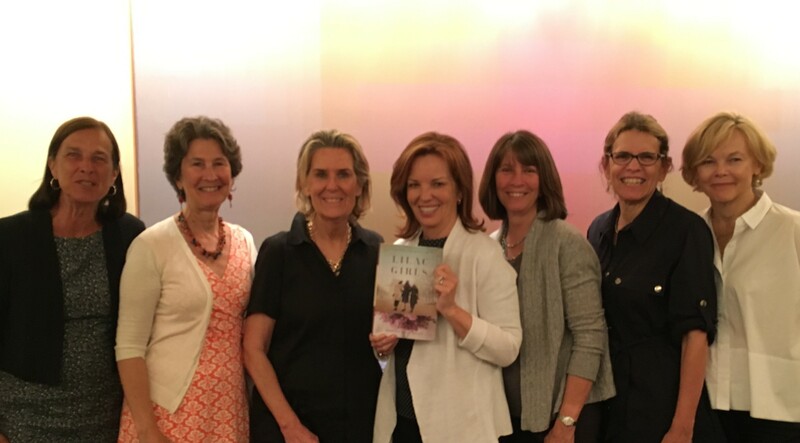 Is there a better way to spend an evening than with smart, funny women who love to talk about books? 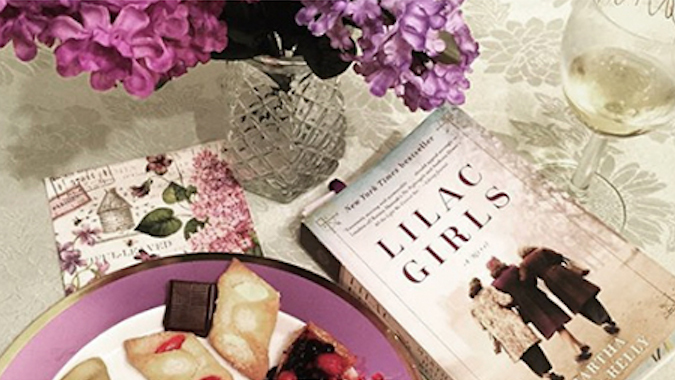 First Visit to a Book Club to Talk Lilac Girls Was Beyond Wonderful. After over ten years researching and writing Lilac Girls, in a solitary state, it’s been so much fun to get out and meet readers. But my first book club visit yesterday took connecting with readers to a fabulous new level. Our host Debby Fleischer (far right) made it all happen. 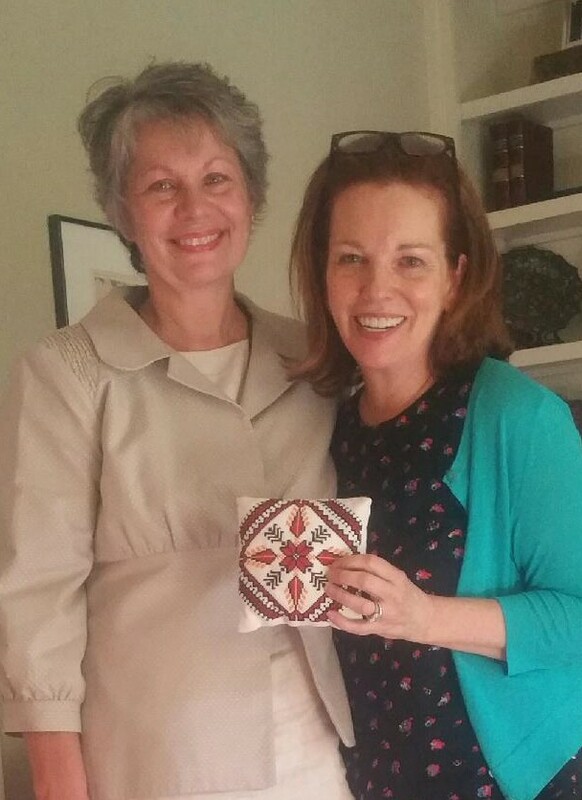 She contacted me when the book first debuted and invited me to her Atlanta home for the book club. 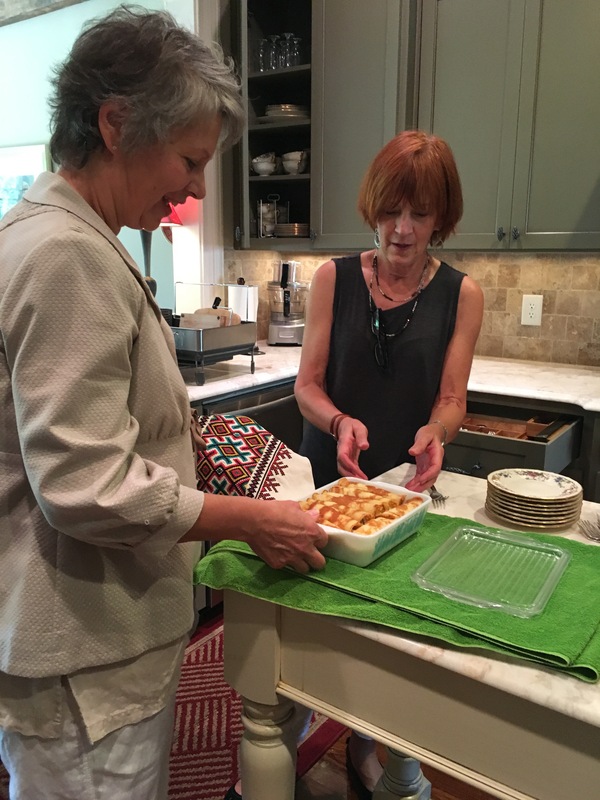 The first sign it was going to be a memorable day was the delicious nalynsky club member Laura Liszczak Cleary brought, which she prepared from a recipe often made by her Polish family. 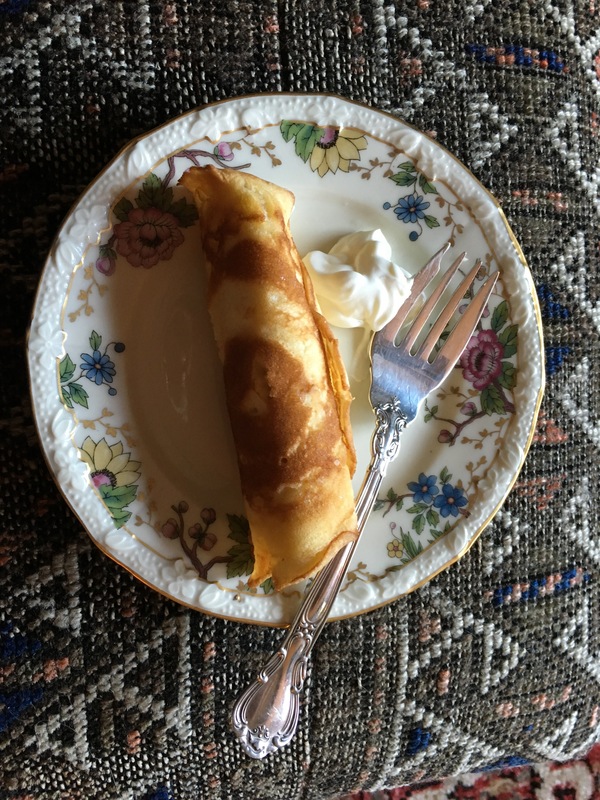 I’d had delicious Polish food when I was researching in Lublin and Warsaw but these light, little fruit-filled mini pancakes were just heavenly. The book conversation was incredible and several of the members shared fascinating family WWII stories. Everyone had read the book, so we didn’t have to be mindful of spoilers and the time flew by. I was there to impart Lilac Girls wisdom but ended up learning so much from the group members. 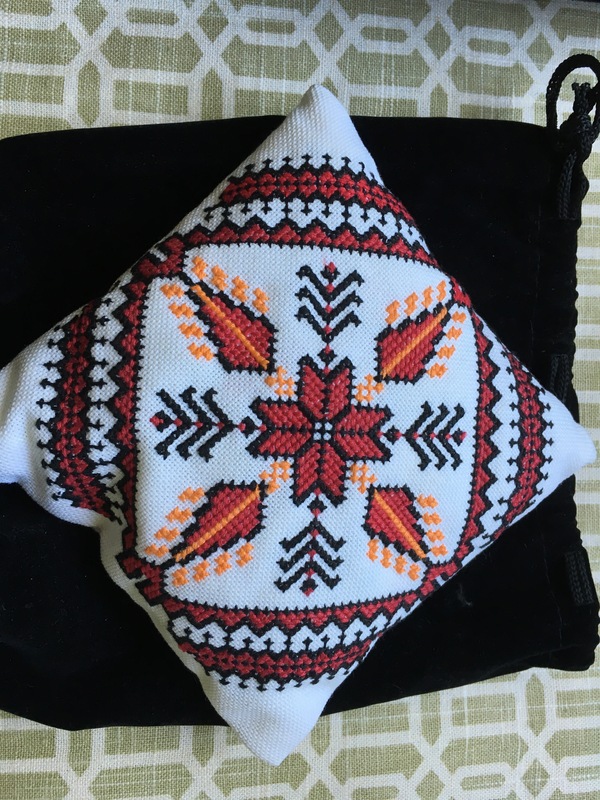 In the pouch was a family heirloom, a tiny cedar pillow a family member had hand-stitched, the cedar insert crafted long ago from flowered sheeting. The card: “With deepest gratitude for sharing our story.” I’ll always cherish it. What a lovely (but teary!) way to end an incredibly memorable first Lilac Girls book group visit.